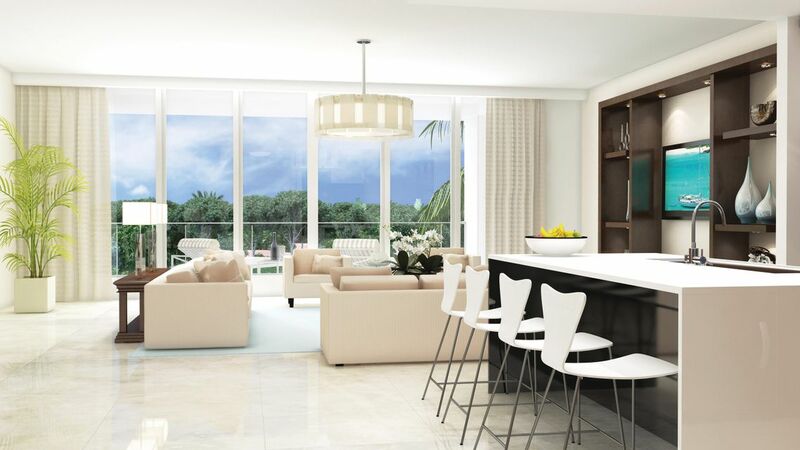 Azure is a new, ultra luxurious water front condominium complex in Palm Beach Gardens. Overlooking the Loggerhead Marina on the intracoastal waterway, this private, gated community features concierge services, resort-style amenities, and the option of docking a boat or yacht up to 120'. Construction is still well underway but customize-able floor plan reservations are being taken now. Home designs are contemporary with high-end fixtures and appliances, featuring stunning views of the water and natural Florida habitat. Additionally, there are 14 acres of gardens, walking paths and palm lined paver drives for guests to enjoy in the tropical and sunny south Florida weather. Azure also has the great benefit of only being one mile from Juno Beach. Get in touch with a Distinct Estates agent today to design you dream condo today!